I HAD the rare privilege of having the late Swami Vivekananda as our guest at Belgaum, I believe some time in 1892. I am not sure of the date, but it was about six months before he reached Madras and there became, better known than he was before. If I remember aright, it was his first visit to Madras that led to his selection as representative of India at the Congress of Religions held at Chicago. As very few people in India had the advantage of knowing him before he made a name for himself, I think it would be interesting to set down a few reminiscences, however hazy, of his visit and stay at Belgaum. The Swami came to Belgaum from Kolhapur with a note from Mr. Golvalkar, the Khangi Karbhari of the Maharaja. He had reached Kolhapur with a note from the Durbar of Bhavnagar to the Durbar of Kolhapur. I do not remember whether the Swami had stayed in Bombay or merely passed through. I remember him appearing one morning about six o'clock with a note from Mr. Golvalkar who was a great friend of my father's. The Swami was rather striking in appearance and appeared to be even at first sight somewhat out of the common run of men. But neither my father nor any one else in the family or even in our small town was prepared to find in our guest the remarkable man that he turned out to be. From the very first day of me Swami's stay occurred little incidents which led us to revise our ideas about him. In the first place, though he wore clothes bearing the familiar colour of a Sannyasin's garments, he appeared to be dressed differently from the familiar brotherhood of Sannyasins. He used to wear a banyan. Instead of the danda he carried a long stick, something like a walking-stick. His kit consisted of the usual gourd, a pocket copy of the Gita, and one or two books (the names of which I do not remember, possibly they were some Upanishads). We were not accustomed to see a Sannyasin using the English language as a medium of conversation, wearing a banyan instead of sitting bare-bodied, and showing versatility of intellect and variety of information which would have done credit to an accomplished man of the world. He used to speak Hindi quite fluently; but as our mother-tongue was Marathi, often he found it more convenient to use English than Hindi. The first day after the meal, the Swami made a request for betel-nut and pan (betel). Then either the same day or the day after, he wanted some tobacco for chewing. One can imagine the kind of horror which would be inspired by a Sannyasin who is commonly regarded as having gone above these small creature comforts, showing a craving for these things. We had discovered by his own admission that he was a non-Brahmin and yet a Sannyasin, that he was a Sannyasin and yet craved for things which only householders are supposed to want. This was really topsy-turvydom, and yet he succeeded in changing our ideas. There was really nothing very wrong in a Sannyasin wanting pan and supari (betel-nut) or tobacco for chewing, but the explanation he gave of his craving disarmed us completely. He said that he was a gay young man and a distinguished graduate of the Calcutta University and that his life before he met Shri Ramakrishna Paramahamsa was entirely different to what he became afterwards. As a result of teachings of Shri Ramakrishna Paramahamsa he had changed his life and outlook, but some of these things he found it impossible to get rid of, and he let them remain as being of no very great consequence. As regards food, when he was asked whether he was a vegetarian or a meat-eater, he said that as a man belonging not the ordinary order of Sannyasins but to the order of the Paramahamsas, he had no option in the matter. The Paramahamsa, by the rules of that order, was bound to eat whatever was offered, and in cases where nothing could be offered he had to go without food. And a Paramahamsa was not precluded from accepting food from any human being irrespective of his religious beliefs. When he was asked whether he would accept food from non-Hindus, be told us that he had several times been under the necessity of accepting food from Mohammedans. The Swami appeared to be very well grounded in the old Pandit method of studying Sanskrit. At the time of his arrival, I was getting up the Ashtadhyayi by rote, and to my great surprise as a boy, his memory even in quoting portions of the Ashsadhyayi which I had been painfully trying to remember, was much superior to mine. If I remember aright, when my father wanted me to repeat the portions that I had been preparing, I made some slips which to my confusion the Swami smilingly corrected. The effect of this was almost overwhelming as far as my feelings towards him were concerned, When there was another occasion for repeating some portions of the Amarakosha, I thought it better to be prudent than clever; and as I felt doubtful about my ability to repeat the portion with accuracy, I frankly confessed that I was unable to do so without committing mistakes. My father was naturally angry and annoyed at my failure to come up to his expectation; but I did not want to be caught once more, and I preferred the temporary annoyance of my father to what I regarded as a humiliation at the hand of our newly arrived guest. For a day or two after his arrival my father was busy in trying to take a measure of his guest. In that period he made up his mind that the guest was not only above the ordinary, but was an extraordinary personality. So he got a few of his personal friends together in order to fortify his own opinion of the Swami. They soon agreed that it was quite worth while to get all the local leaders and learned men together. What struck us most in the crowded gatherings, which began to be held every day after the presence of the Swami became known to all in Belgaum, was the unfailing good humour which the Swami preserved in his conversations and even heated arguments. He was quick enough at retort, but the retort had no sling in it. One day we had a rather amusing illustration of the Swami's coolness in debate. There was at that time in Belgaum an Executive Engineer who was the best-informed man in our town, He was one of the not uncommon types among Hindus. He was in his everyday life an orthodox Hindu of the type that I believe Southern India alone can produce. But in his mental outlook he was not only a sceptic, but a very dogmatic adherent of what used to be then regarded as the scientific outlook. He almost appeared to argue inspite of his orthodox mode of life that there was practically no sanction for religion or belief in religion except that the people were for a long time accustomed to certain beliefs and practices. Holding these views he found the Swami rather an embarrassing opponent, because the Swami had larger experience, knew more philosophy and more science than this local luminary. Naturally, he more than once lost temper in argument and was discourteous, if not positively rude, to the Swami. So my father protested, but the Swami smilingly intervened and said that he did not feel in any way disturbed by the methods of show of temper on the part of this Executive Engineer. He said that in such circumstances the best method to adopt was the one adopted by horse-trainers. He said that when a trainer wants to break colts, he merely aims at first to get on their backs, and having secured a hold on the back, limits his exertions to keeping his seat. He lets the colts try their best to throw him off and in that attempt to exhaust their untrained energies; but when the colts have done their best and failed, then begins the real task of the trainer. He becomes the master, and soon makes the colts feel that he means to be the master; and then the course of training is comparatively smooth. He said that in debates and conversations this was the best method to adopt. Let your opponent try his best or worst, let him exhaust himself; and then when he has shown signs of fatigue, get control of him and make him do just whatever you wish him to do. In short, conviction rather than constraint or compulsion must be the aim of a man who wants something more than mere silence from an opponent. Willing consent on the part of the opponent must be the inevitable result of such a procedure. The Swami was a most embarrassing opponent for an impatient and dogmatic reasoner. He soon nonplussed in argument all the available talent in a mofussil town. But his aim appeared to be not so much victory in debate and argumentation, as a desire to create and spread the feeling that the time had come for demonstrating to the country and to the whole world that the Hindu religion was not in a moribund condition. The time had come, he used to say, for preaching to the world the priceless truths contained in Vedanta. 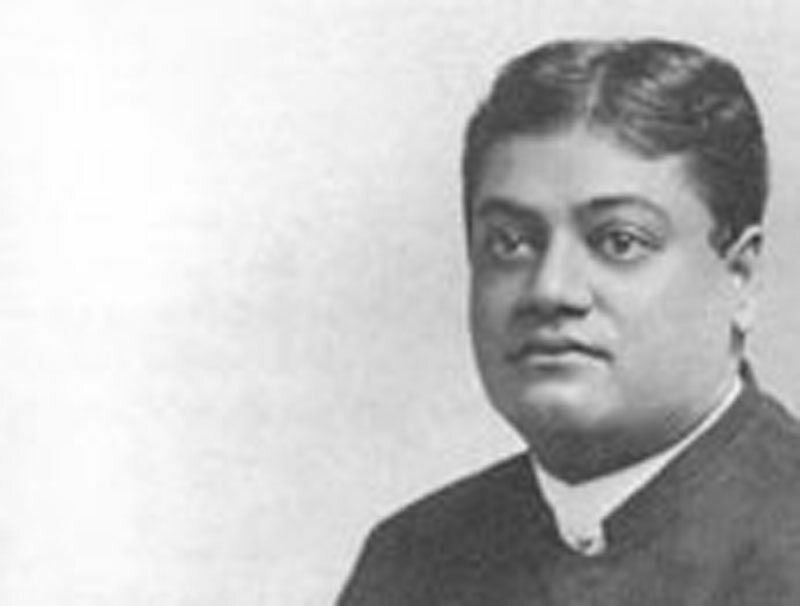 His view of Vedanta was, it appears to me, a great deal different from the view that has become traditional. His complaint appeared to be that Vedanta had been treated too much as the possession of a sect competing for the loyalty of the Hindu along with other sects, and not as a life-giving perennial source of inspiration that it really was. He used to say that the particular danger of Vedanta was that its tenets and principles lent themselves easily to profession even by cowards. He used to say that the Vedanta may be professed by a coward, but it could be put into practice only by the most stout-hearted. The Vedanta was strong meat for weak stomachs. One of his favourite illustrations used to be that the doctrine of non-resistance necessarily involved the capacity and ability to resist and a conscious refraining from having recourse to resistance. If a strong man, he used to say, deliberately refrained from making use of his strength against either a rash or a weak opponent, then be could legitimately claim higher motives for his action. If, on the other hand, there was no obvious superiority of strength or the strength really lay on the side of his opponent, then the absence of the use of strength naturally raised the suspicion of cowardice. He used to say that that was the real essence of the advice by Shri Krishna to Arjuna. The wavering of mind on the part of Arjuna may have been easily due to other causes besides a genuine reluctance to use his undoubted and unfailing strength. Therefore the long and involved argument embodied in the eighteen chapters of the Gita.